The Aston Martin DB2/4 is a 2+2 seat hatch back sports car that repaced the DB2, they were made from 1953 to 1957, the Mk II, introduced in 1955, had styling changes to it's rear end and was availabe with an optional 165 bhp "Big Valve" engine. Additional information about the Aston Martin DB2 mk II Graphic: The DB2/4 evolved from the Aston Martin db2, this car is a late 1957 example, consequently it is powered by the 2900cc 140 bhp straight 6 DOHC engine to a top speed exceeding 120 mph. 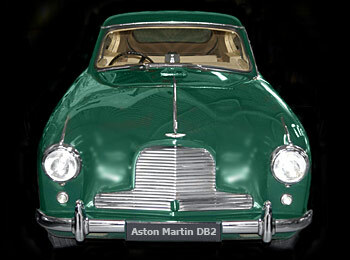 Siteseen Ltd. are the sole copyright holders of this Aston Martin DB2 mkII picture, unless otherwise stated. We only authorise non-commercial picture use and particularly encourage their use for educational purposes. This Aston Martin DB2 mkII Fast Car picture is not in the Public Domain. 1) www.educationalresource.info must be credited as the copyright holders wherever this Aston Martin DB2 mkII fast car picture is used. 3) Use of this Aston Martin DB2 mkII fast car picture, or any of our pictures on websites re-distributing copyright free material is strictly prohibited.